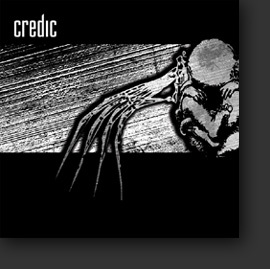 Formed as a five man combo in 2005, credic hit the stage in early 2006. Their fist self-titled demo CD was released in march 2007. Especially in the early period the music was mainly influenced by swedish melodic death metal - the band however is eager not just to reproduce this style but to enrich it with new ideas to create their own characteristics. Thus fast melodic as well as heavy guitar work is combined with midtempo parts, versatile growls/shouts and dynamic drumming, aiming to combine sophisticated technique and catchy riffing.